First, there’s actually a few events in the timeline of how so much music disappeared from the service in the first place. Remember that about ten years ago it had only just been surpassed by Facebook. Since then, relative traffic, revenue, and headcount have plunged dramatically. The 2016 acquisition by Time Inc. was of a far weaker company, but even then ad revenue was seen as its value. Part of what Apple, Spotify, Facebook, and Google-owned YouTube have done, arguably, is weaken the overall market for ad revenue and premium services in music. That’s why it’s still worth watching SoundCloud’s creator-driven strategy, in contrast to the rest of the industry. In the midst of the business meltdown, the circumstances of MySpace’s “loss” of years of much are highly suspicious. Users on reddit have been the ones to chronicle what was going on at each step. Keep in mind, here they’re referring to their own user-uploaded content. There is an issue with all songs/videos uploaded over 3 years ago. We are aware of the issue and I have been informed the issue will be fixed, however, there is no exact time frame for when this will be completed. Until this is resolved the option to download is not available. I apologize for the inconvenience this may be causing. We’re in the process of doing a huge maintenance project for videos and songs. Due to this maintenance, you may notice some issues playing songs or videos. During this process, there may be possible downtime. We are actively working to ensure there is little to no issues with your listening experience. Please bear with us. You may also notice missing artwork during this transition. We’re diligently working to get this resolved asap. Please also note, all FLV videos can no longer be played due to an update to the player. We updated our player to HTML5. Unfortunately, we do not offer a way to play or download these videos. The timeline of news around the issue this week is actually incorrect, because it appears that all of this happened about a year ago. 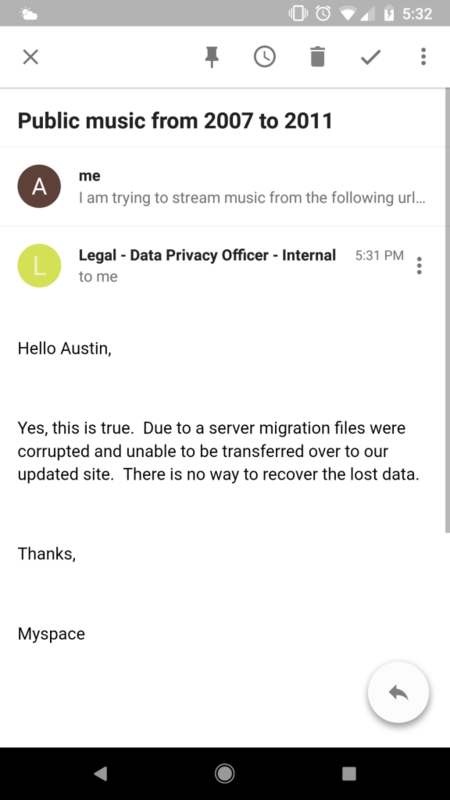 Seven months ago was when one redditer got a notice from the company saying files had been deleted. Yet only this week it seems mainstream sites (including this one, erm, okay mainstream sites plus this one) took notice. By the way, Dr. Jentzsch apparently a third-party legal counsel in Germany, not MySpace management. In fact, the language used (“corrupted,” “server migration”) also appears not to be written by an engineer – in that an engineer would be more specific. But, okay, this part is obvious. Equally obvious: you shouldn’t count on services to be the only copy of your stuff. These services generally have no obligation to keep things accessible. Also equally obvious: a lot of us know that and do it anyway. Obvious follow-up: we should go right now to places with our music, download it, and put it multiple places that are safe – both physically and online. And we should be particularly mistrusting of big services this month, in which both Gmail and Facebook suffered major, multi=hours outages for which their enormously wealth corporate owners provided absolutely no explanation. There’s a broader issue, though, beyond our own stuff. We need to begin to properly archive online content, and imagine how it will be more widely available – what we assumed the Internet would do in the first place. And there, folks like Jason Scott of the Internet Archive have been working on just that. But I think we need a complete reboot of what we’re doing with the Internet for music. I’ll be writing about that in coming weeks and trying to get your input (readers) and the input of other people involved in projects from the past, present, and future. The situation right now is bleak – and the fact that people really were still looking to MySpace for their music demonstrates how bleak. Music uploaded to the “old Internet” may quickly be lost forever. Music now disappears into a black box of distribution services. Some of those distributors will actually remove music from streaming and download sites if the creators or publishers don’t pay up on a regular basis. And once on these sites, many artists will never see any amount of real, measurable income – whatever Spotify and Apple may be quarreling about currently. In fact, I’d go as far as arguing that the focus on whether music makers get paid for their work ignores the fact that a lot of music makers feel they aren’t heard at all. Which brings us back to MySpace. The early days of the Internet were full of music – even illegal music. It was the age of the netlabel. And then MySpace was the dominant social network from 2004 to 2010 – meaning that social media was dominated by music. Obviously, that’s not the case now. Now we have “influencers” and selfies and literally Neo-Nazis and hate speech and fake news and almost everything but music. If people are suddenly lamenting the loss of years-old data on MySpace, it could be because music online hasn’t grown as we hoped it would. There’s still time to change that. We’re not getting any younger – and neither is the Web. So that time is now. The post Years of MySpace music deleted; Internet weeps appeared first on CDM Create Digital Music. Barry impressively tracks every kind of freakish appearance at the enormous US music instruments show, and it’s worth digging through his whole NAMM Oddities guide category by category ($1.2 million-dollar guitar straps and all). I’ve taken the liberty of picking some of my favorites from this year’s haul. Some of it is genuinely useful and cool – some will just make you shake your head and mumble, say wha? The weight and feel of the knob are identical, as we have used the exact measurements and a balanced spring arrangement. The two-inch diameter knob is milled from a solid bar of instrument-grade aluminium (yes, we were doing this long before Apple). The interface software and hysteresis algorithm are taken from Synclavier II. Giant panda piano. The piano section at NAMM and Germany’s Musikmesse always has something unusual, but this Seiler upright – out there. 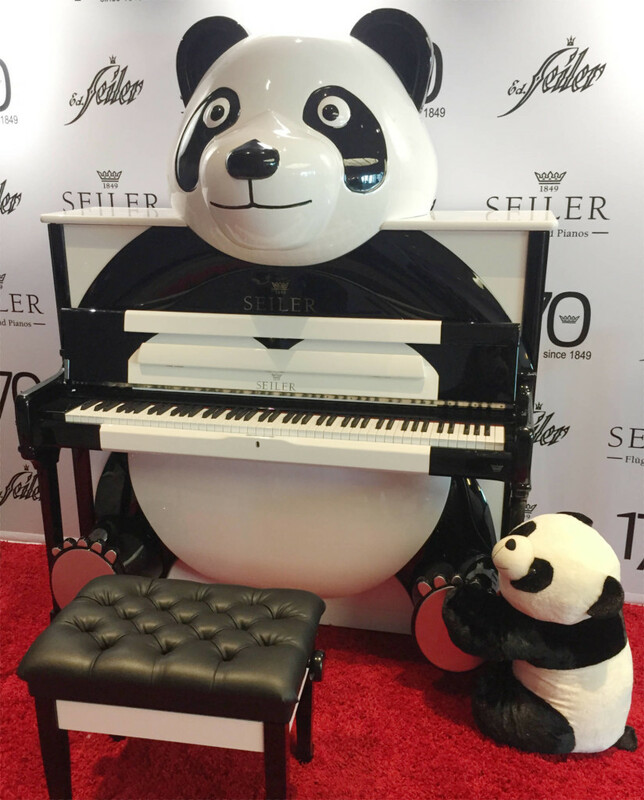 And if you figured something weird and panda-related came out of Asia, you’d be wrong – Seiler started in Germany, is now a US brand, and recently was bought by Nashville’s Samick Music Corporation. A light-up uke. Solo Music‘s Lighted Ukulele should qualify as this year’s strangest use of RGB LEDs (though I know given what controllers look like these days, we can’t really make fun of ukelele players). 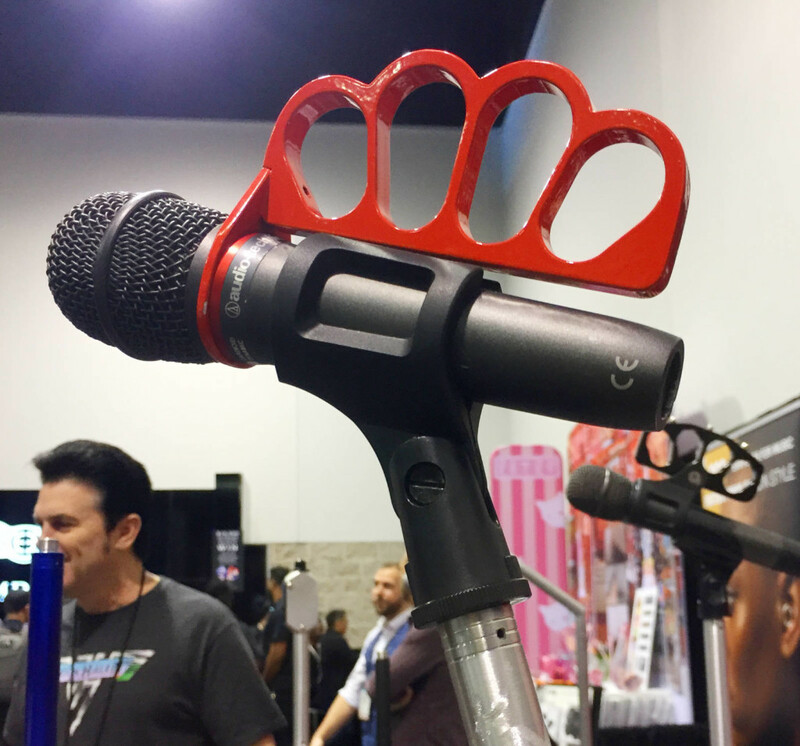 Brass knuckle mic accessory. Signs you may want to talk to your booking agent about the quality of your venues. Someone at Metaldozer had ideas about what to do with the metalworking. And basically everything from Game Changer Audio. 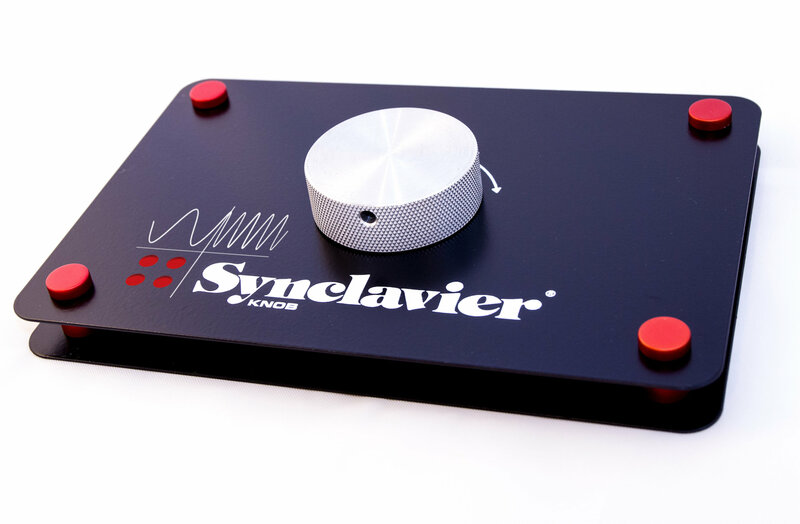 Need a sound source that’s got spinning discs with optical sensors and electromagnetic pickups? Or 3000 volts of plasma for distortion? Game Changer is all over new ideas; we’ll have reviews of their stuff soon. — and Gearnews.com did a nice writeup. 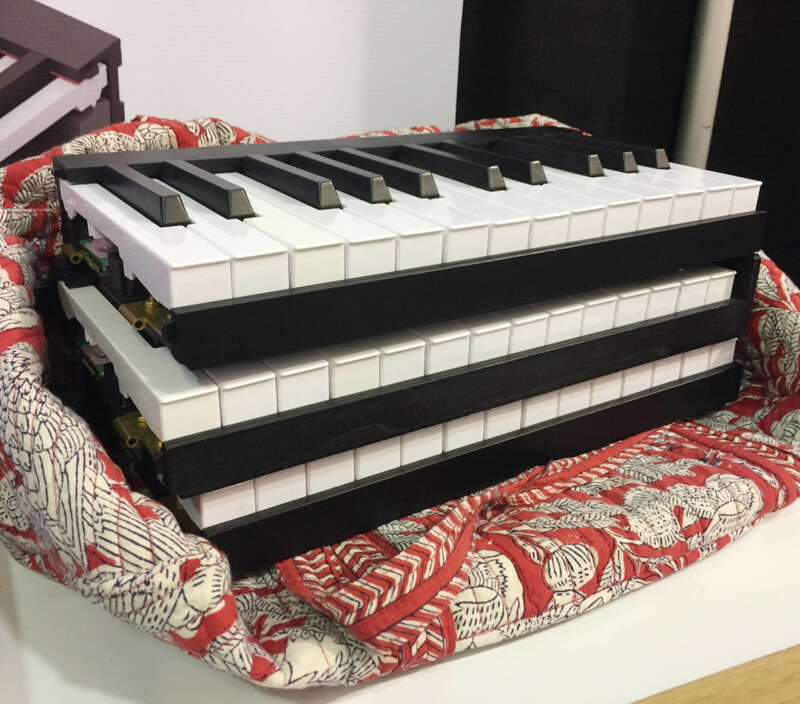 The post Here are some of the weirdest musical instrument ideas from NAMM appeared first on CDM Create Digital Music. The FCC on Friday issued a Public Notice reminding radio stations that the license renewal cycle begins in June, when all stations in Maryland, Virginia, West Virginia, and the District of Columbia are due to electronically file their license renewal applications, along with the Broadcast Equal Employment Opportunity Report on Form 396 (the 396 being required of all full-power stations, even those with fewer than 5 full-time employees). It is still unclear whether these applications will be filed using the current electronic database for radio (called CDBS), or whether the FCC will require radio stations to use the new electronic database that TV stations have been using for several years now (called LMS). The renewal filing obligation applies to LPFMs and FM translator stations, as well as full-power stations. As we have written many times in recent months (for example here and here), after the June filing deadline for these Mid-Atlantic states, the renewal cycle moves south – with stations in the Carolinas filing by August 1. Every other month for the next 3 years, radio stations in other states will file their renewal applications. The order in which stations file is available on the FCC’s website, here. The TV renewal cycle starts one year later, beginning in June 2020. The Public Notice reminds stations whose renewals are approaching that they must give public notice of the upcoming renewal filing on the 1st and 16th days of the two months preceding the renewal filing. We noted in our most recent post on upcoming regulatory dates that this pre-filing notice for stations in the Mid-Atlantic states with the June filing deadline must start running on April 1. The FCC’s Public Notice notes that the pre-filing notices should follow the format set out in the rules, even though that format is outdated, as it assumes a paper public file and a manned main studio, even though neither continue to be required by the FCC. Unfortunately, the FCC has not yet managed to update the public notice rule to take these changes into account. The Public Notice also reminds stations of the importance of the online public file, and the documents that are required to be in that file. Last week, we wrote about an inquiry that came from the FCC addressed to many stations that either had not activated the file or which had incomplete online public files. This notice seems to confirm our concerns that the FCC will be reviewing the public file at license renewal time, and that stations that have not complied with the public file rules may be facing substantial penalties. As we wrote in the last license renewal cycle, stations that were missing Quarterly Issues Programs Lists for several quarters were receiving fines of $10,000 or more (see our articles here, here, here, here and here). This kind of penalty highlights the cost of noncompliance. So the next license renewal is quickly becoming a reality for radio stations. Be ready to file when your turn comes, and keep up to date on new information from the FCC, including what database to use in order to file your renewal application. Finally, be sure that you are in compliance with the online public file rules and other compliance requirements to avoid big penalties during the renewal cycle. The post Dis Fig On Finding Her Voice In Industrial Noise And The Importance Of Isolation appeared first on Telekom Electronic Beats.